This years Annual Awards for Services to Seafarers' Welfare were announced during our conference dinner held in Bristol last week. The worthy recipients this year were Reverend Frans Sahetapy and Mrs Susan Newcombe. Reverend Frans Sahetapy, Sailors' Society port chaplain in Tilbury. Frans has undertaken this role for over 10 years, firstly in the port of Southampton. After Typhoon Haiyan devastated the Philippines in 2013, he went to the area to offer emotional and practical support to victims of the disaster. Wherever he works he goes about this tirelessly, in an unassuming manner with a smile on his face and is a true friend to seafarers visiting the port. Mrs Susan Newcombe, a recently retired MNWB Port Welfare Committee Manager, whose passion, commitment and knowledge of the welfare sector and seafarers’ issues has been invaluable to both the Board and the PWCs. She is hugely liked and respected by all PWCs and her colleagues. Her warmth, sense of humour, awareness of issues and ability to “manage”, sometimes, difficult situations has greatly enhanced the work and reputation of the Board. We have just held our third very succesfsful biennial 'Seafarers Welfare Conference' in Bristol. This years theme was Securing the Future to meet the needs of active and retired seafarers and their dependents. Delegates attended from many of the Board’s Constituent members including representatives from the Chamber of Shipping, Nautilus International, MCA and 26 maritime charities. Also represented were all of our Port Welfare Committees. 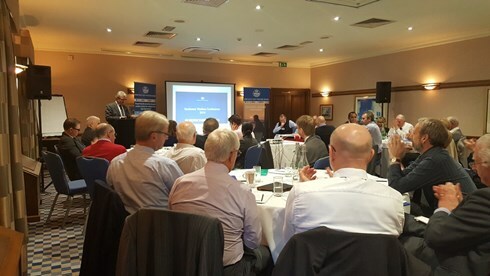 The conference was opened by our Chairman, Bob Jones, who rem inded delegates that the Board, as the Merchant Navy’s and fishing fleets’ umbrella charity, exists to support its constituents and through them, their beneficiaries. Its primary objective being to identify and encourage the highest possible levels of provision of welfare services to seafarers. Whilst each maritime charity is independent with a proud history of development and evolution, there is an increasing need to work more closely together. With 43 constituent charity members it is not always easy to gain consensus, but most have a no nonsense ‘can do’ attitude and communication between us all is everything. The conference was not designed to provide information, but to stimulate informed discussion and debate. Guest speakers included Mark Dickinson - Nautilus International who talked about meeting the needs of active and retired seafarers and their dependents. Barry Bryant - Seafarers UK, Graham Hockley - Trinity House and Luca Tommasi - ITF Seafarers Trust gave delegates an insight into how their organisations supported seafarers welfare services. There was also an opportunity for delegates to discuss issues during breakout sessions and open forums, looking at how maritime charities can better address today's needs and also how the MNWB can better servce its Constituents. To read a detailed report on the conference please click here. To see the breakout group responses please click here. At a reception in the Gibraltar Governor's Residence on Saturday 8th October, Minister for the Port, Paul Balban, announced the inauguration of the Gibraltar Seafarers' Welfare Board. On the previous day, on its 10th anniversary, the Gibraltar Port Welfare Committee had been formally disbanded in favour of the change of status. Chairman of the new Board, Captain James Ferro MBE MNM, welcomed the development adding that "the title properly recognised Gibraltar's role as a global maritime state". The new Board will be supported and administered, as previously, by the UK's Merchant Navy Welfare Board. Chief Executive, Captain David Parsons said that "this recognised the warm welcome and welfare support given to seafarers of all nationalities visiting the port over many years. This was a result of the long and close collaboration between the voluntary societies, churches, Gibraltar Maritime Administration and port authorities. The support to seafarers and the new title is line with the recommendations set down in the ILO's Maritime Labour Convention, 2006." Following the investiture of the 2015 Merchant Navy Medals, at Trinity House on Monday 23rd November, the then, Shipping Minister Robert Goodwill MP announced a new State Award to be known as the Merchant Navy Medal for Meritorious Service, will have a place in the Order of Wear. Her Majesty The Queen graciously signed the Royal Warrant for the new Medal. The first of these medals will be presented in 2016 and will replace the prestigious Merchant Navy Medal, which has been awarded by the Merchant Navy Medal Committee, on behalf the industry, from 2005 until this time. The Committee has a wide range of expertise from across the maritime industry. Whilst the Department of Transport will ultimately be responsible for recommending awards to the Ministers it has agreed to consult closely with the Merchant Navy Medal Committee when reviewing nominations. Whilst nominations can be sent directly to the Department, they have also agreed that the Committee can review and forward nominations to them. The Committee will therefore examine carefully each nomination and advise whether they believe each meets the criteria and whether further information is needed. A formal presentation ceremony will be held later in the year. To mark Merchant Navy Day on 3 September 2016, the Red Ensign flag will fly over the headquarters of the Department for Transport. Nominations for the 2017 awards of the Merchant Navy Medal for Meritorious Service are now open. Below is a press release from Australia about a ship detained in the port of Gladstone. It is a great example of what can be achieved by the collaborative working that a local Port Welfare Committee can bring to a port. “I commend Gladstone Ports Corporation for their prompt response to provide support and assistance to ensure the welfare of the crew of the bulk carrier, Five Stars Fujian. Maritime Safety Queensland is also closely monitoring the ship through its Gladstone Vessel Traffic Service and its close working relationship with Australian Maritime Safety Authority." Mr Bailey commended AMSA on the timely and thorough manner in which the situation was being managed. He also recognised International Transport Federation for providing valuable input and support protecting the interests of the seafarers. Note: The Gladstone Port Welfare Committee (PWC) was the first welfare board to be formed, in accordance with MLC 2006, as part of the ISWAN International Port Welfare Partnership (IPWP) pilot project in 2015/16. The IPWP pilot project will expand to become a 3 year programme with effect from January 2017. Ports interested in joining the programme should submit an ‘expression of interest’ via the ‘Contact Us’ webpage https://www.portwelfare.org/contact-us--.html . Our Annual Report for 2015 has just been printed. To download a copy please click here. As part of the “Seafarers Awareness Week” promoted by Seafarers UK and supported by the Board's Humber Port Welfare Committee an “Open Day” took place at the Hull Seafarers Centre, King George Dock on Thursday 23rd June with the theme “Maritime Jobs for Future Generations”. 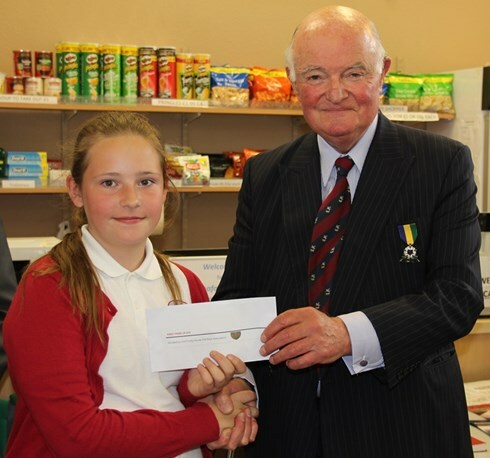 The event encouraged school children to enter a collage competition with prizes donated by Hull Trinity House Old Boys Association and the Deep being presented by the Vice Lord Lieutenant of East Yorkshire, Andrew Marr. Previously the school children had a tour of King George Dock courtesy of Associated British Ports and were entertained by the magician skills of Captain Charles Anderson who also conducted the ecumenical service following lunch. A number of Maritime Charities and organisations were present with their stands to highlight the diverse patronage of those striving to assist prospective seafarers, those working on ships and those no longer able to work at sea or retired along with their families. The children took the opportunity to ask many questions of those assembled and thoroughly enjoyed the visit. 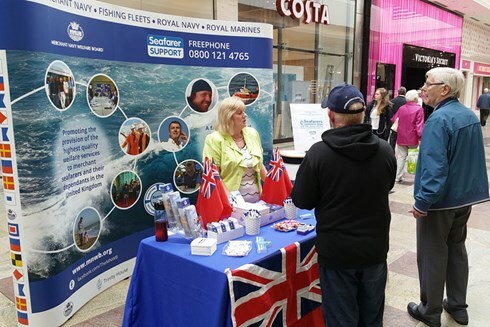 The Merchant Navy Welfare Board and helpline Seafarer Support marked the beginning of Seafarers Awareness Week manning an information stand at West Quay Shopping Centre in Southampton. Welfare Manager Sally Oliver and Project Administrator Ally Whitfield welcomed many friendly faces who were familiar with the maritime sector and who took away information to pass onto their fellow colleagues on board. It was an ideal opportunity to raise awareness about the services that are on offer to seafarers and their dependants. Sally and Ally would like to say a big thank you to the two retired seafarers who happened to visit the stand at the same time and entertained them with stories of their life at sea. Centres for Seafarers has announced plans to modernise welfare provision for seafarers visiting Southampton. Hundreds of thousands of seafarers come into the city’s docks every year, but the time they spend in the port has dramatically reduced, with some not even leaving their ships. Changes in shipping patterns mean only around two per cent of visiting seafarers now use the Southampton seafarers’ centre annually. The centre in Queens Terrace, which provides internet access, phone booths and refreshments, has seen sizable losses in recent years, despite investment from trustee societies. Consequently, it is planned that the centre will close at the end of April and a redundancy consultation process has begun with affected members of staff. 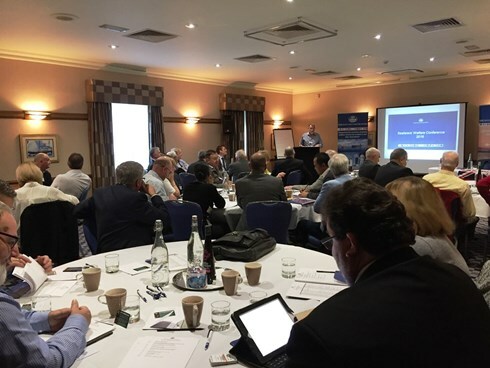 The move would free up resources to meet the needs of seafarers more effectively and talks are underway with churches, charities, local businesses and port authorities to explore new opportunities. Drop-in cabins for seafarers at Southampton docks and Fawley will remain open, with current service levels being maintained. Visiting of crews aboard ships by chaplains, staff and volunteers from the trustee societies and Centres for Seafarers will continue and may be expanded. Centres for Seafarers was formed as a not for profit charity company in 2004, originally a partnership of the three international Christian Mission Societies - The Apostleship of the Sea, Sailors’ Society and The Mission to Seafarers. In 2014, the partnership widened to include Queen Victoria Seamen's Rest - The Seamen's Mission of the Methodist Church. Today, these four partners work together to provide welfare and comfort for seafarers visiting UK ports. Welfare boards, known locally as Port Welfare Committees (PWCs), help form maritime communities that coordinate, review and support improvements to the provision of shore based welfare facilities and services for seafarers. In considering requests for grant assistance from the ITF Seafarers Trust, consultation with PWCs plays a key part in the process of determining the merits of any application. Funded by the ITF Seafarers’ Trust, the International Port Welfare Partnership (IPWP), an ISWAN pilot project, aims to encourage and support the establishment of Welfare Boards worldwide. With seafarers’ welfare and wellbeing assuming greater importance, Welfare Boards encourage the maritime community to work in partnership with one another to ensure that seafarers’ welfare in ports is properly supported. The value of Welfare Boards as effective welfare forums has long been acknowledged by the international maritime community, including the International Labour Organisation. Access to shore-based welfare facilities is now recognised by the Maritime Labour Convention (MLC, 2006) as a key component in securing seafarers’ rights and freedoms. Administered by the Merchant Navy Welfare Board, the International Port Welfare Partnership (IPWP) pilot project aims to establish welfare boards, in accordance with MLC, 2006, at national, regional and local port level. The Partnership acts not only as a facilitator and forum for the provision of seafarers’ shore based welfare, but also as a catalyst for the creation of a network of committees that are capable of bringing stakeholders together to support welfare providers and review and improve port services. Prior to the visit to West Africa the IPWP helped set up welfare boards in Australia (Gladstone & Brisbane), Antigua & Barbuda (St Johns), Republic of Korea (Busan), Canada (Ontario Region), Spain (Barcelona) and conducted a welfare review of seafarers’ welfare in Mauritius (Port Louis). 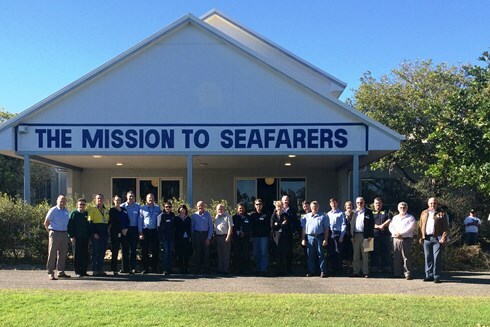 These PWCs now make a valuable contribution to seafarers’ welfare from the Pacific to the Caribbean. The IPWP short tour of the West Africa Sub Region took the opportunity to visit the Seafarers Centre in the Port of Lome, Togo. 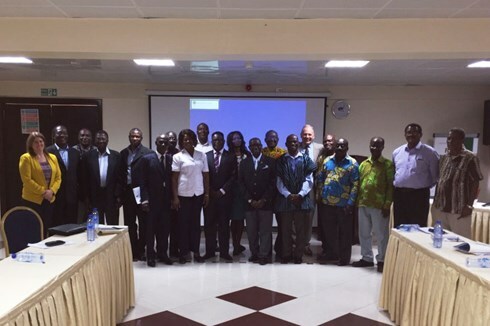 Following the trip to West Africa in January 2016 by Kimberly Karlshoej of the ITF Seafarers' Trust and Peter Tomlin MBE of the Merchant Navy Welfare Board, two new Port Welfare Committees were successfully established in Ghana and Benin. The establishment of the PWCs in Tema (Ghana) and Cotonou (Benin) marks a significant moment in the development of welfare facilities for seafarers operating out of the regions' expanding ports. With new supply routes opened up, helping to connect landlocked countries in the region, major ports in the West Africa Sub Region are expected to experience a marked increase in port traffic in the years to come. In a region that experiences piracy, kidnapping and armed robbery the busy ports of Tema and Cotonou also offer safe anchorages that are used by thousands of ships in transit. The Partnerships success in the region not only demonstrates the significance local stakeholders place on PWCs, but also highlights the importance of the support and expertise that can be provided by outside organisations such as the Seafarers’ Trust, ISWAN and MNWB. The Maritime Charities Group (of which the MNWB is a member) is looking at the needs of the spouses or partners and families of personnel in the Merchant Navy (as well as the Fishing Fleet, Royal Navy and Royal Marines). As part of this, the Group has asked the Institute of Public Care at Oxford Brookes University to do a survey to find out how needs have changed in the last 10 years. The survey is an important opportunity for families to provide information that will help the Maritime Charities Group plan how best to meet the needs of seafarering families in the future. If you are a member of a seafaring family whether it be the MN, fishing, RN or RM please take time to look at this by clicking on the link here and complete the survey. Please share the link with anyone else you know from a seafaring family. Seafarer Support, the central point of contact and referral service for the UK maritime charity sector, has recently had cause to celebrate reaching not just one but a number of important milestones in 2016. Its niche, multi-channel referral service, which includes its award winning online search engine the ‘Maritime Charities Welfare Guide’, has witnessed well over 50,000 searches from the Merchant Navy (53,310), Royal Navy (12,994), Royal Marines (5,067) and the Fishing (11,039) communities. Furthermore, its free helpline has continued to receive calls (4,066) from people seeking help or advice on welfare issues. These not only include calls from within the maritime sector but also from non-maritime organisations such as Social Services. Seafarer Support is managed, on behalf of the sector, and part funded by the Merchant Navy Welfare Board (MNWB) in partnership with Seafarers UK, MNWB, Trinity House and the Royal Navy & Royal Marines Charity. It was created as a result of recommendations made by the highly praised ‘Supporting seafarers and their families: challenges for the future’ report that was published in 2009. 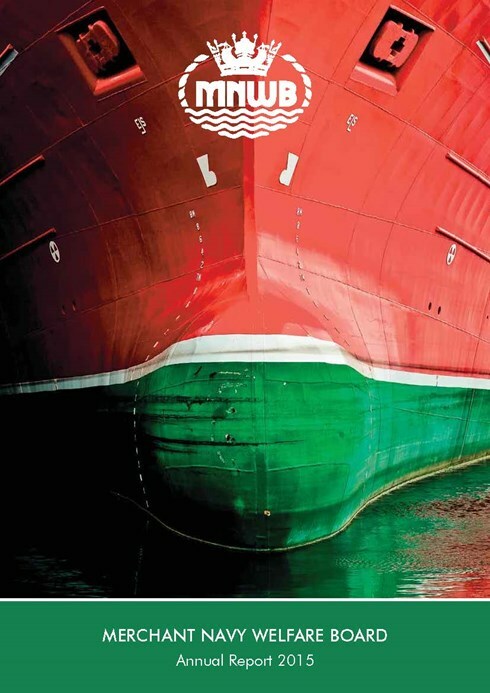 The report, commissioned by the Maritime Charities Funding Group (MCFG) now known as the Maritime Charities Group (MCG), strongly suggested improving collaboration and coordination between maritime charities. It also recommended ‘a shared signposting function to provide information to applicants about sources of support and pass enquiries to appropriate charities and other organisations’. 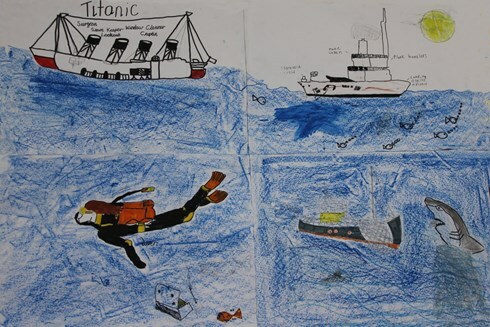 It underlined the importanc e of increasing the awareness and outreach of nautical charities both inside and outside of the UK maritime community. Seafarer Support started as a website and free telephone helpline but it was soon realised that a more proactive, innovative online approach was required to improve communication and engage with modern information technology. To that end a search engine was created. This online guide had an immediate, positive impact on the usage of the service offering a simple to use alternative method for clients to contact and search for help. It afforded users the flexibility to choose when to make an enquiry, as well as how much information they wanted to share with welfare staff without feeling under any pressure. The search engine continues to take Seafarer Support from strength to strength. Although the funders and operational team are pleased with the progress of Seafarer Support they are not resting on their laurels. The service is being expanded to raise even more awareness of maritime charities, particularly in the non-maritime sector, and continues to move forward with plans to participate in various high profile charity events. Seafarer Support has already attended the British Association of Social Workers conference and will attend ‘The Gathering’ of Scottish charities in Glasgow. In addition, the online search engine has undergone a total redesign to optimise use on tablets and smartphones. Depending on usage Seafarer Support will also consider the production of IOS and Android Applications in the future.